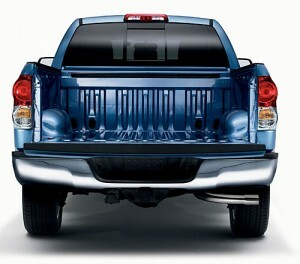 Poulsbo resident Ken Parker emailed me over the weekend about a horrifying tale concerning his tailgate. “I am getting ready to ship out to Hawaii and between 9 p.m. on Wednesday and 1 p.m. on Thursday, someone stole my tailgate to my 2003 Dodge Ram 2500,” he wrote. Parker, who lives near Front Street, said he reported the incident to Poulsbo police. But he’s concerned that such prowlers are getting away with more crimes. “Vehicle prowls are on the rise and these punks need to get caught,” he wrote. He is likely right, though official crime stats won’t be out until next year. Looking at the raw numbers from Silverdale, however, car prowls are indeed going through the roof. Remember to lock your car and take all the valuables out of it that you can. UPDATE: Here’s another horrifying tale of prowlers, by way of Seabeck resident Rodney Perryman. 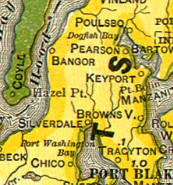 Perryman lives off Stavis Bay Road. Here’s a crime with a happy ending: a Bremerton woman who tracked down her GPS device after it was stolen from her car. How’d she get it back, you ask? Astrid, 29, went over to her local pawn shop. A friend of hers had recommended she do so after her Magellan Roadmate was taken from her car overnight in early November. She’d been soured by the theft, the second time her GPS had been taken from her car (she says her husband had forgotten to lock it). When she went to the pawn shop to see if thieves had sold it there, an employee said she needed the GPS’ serial number. Thankfully, she still had it on the box it came in. She gave the number to the employee, who checked their inventory on a computer. The simple lesson here is that checking one place, she got her property back. Even attempting to have the insurance cover it — adding in what could be a costly deductible — would have been more complicated. And Astrid not only got her GPS device back, but she helped the police cease — at least temporarily — other thefts. An officer went to the pawn shop and found out who sold the GPS device. He then went to that man’s house, and after finding out he had help, two people were arrested, and will be prosecuted for it. 3. if your stuff gets stolen, conduct some simple due diligence (file a police report and check area pawn shops). Blogger’s Note: To read a similar success story, click here to learn about a Silverdale man who got his GPS device back too. They’re taking cars. Going on short rides. Stealing your stuff from them. And then dumping the evidence. Thieves have taken 30 cars in as many days in the East Bremerton area, prompting a Kitsap County Sheriff’s detectives’ investigation. 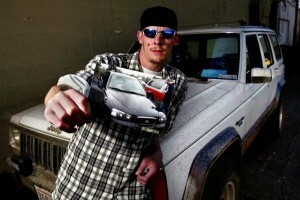 But while the investigators dig into the case, chances are more cars will be taken. Courtesy of the Kitsap County Sheriff’s Office, here’s some useful tips to safeguard yourself from car theft, as well as what to do if you become a victim of such a crime. But first a few links: hear the story of two victims of car theft here and here, and see the list of the most stolen cars in the nation here. In the wake of a surge in Silverdale area car prowls, John Hunter’s GPS device went missing. His family, who recently moved from North Carolina, had heard of an increase in crime in the area. A neighbor had an SUV stolen right out of their driveway; the son of a nearby teacher they know also had a car taken and completely stripped of all its valuable parts. Then last November, the crime came to them. “We notified the police the next day and filed a report,” he said of the stolen GPS device. Hunter, whose family runs a small family business, is not alone in being victimized. 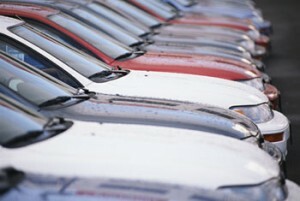 Car prowls in Silverdale have jumped from 40 in 2006 to 224 in 2008. But he did something everyone should do: he took action to safeguard his home. His story — unlike many crime victims — also has a happy ending. There’s no doubt about it — cars in Silverdale are being broken into at an alarming pace this year. I’d gotten quite a few calls of break-ins, so I queried the Kitsap County Sheriff’s Office last week. I asked Sheriff’s spokesman Scott Wilson if he’d seen such car prowls go up. “It would appear so, even if just based on case report numbers,” he replied. 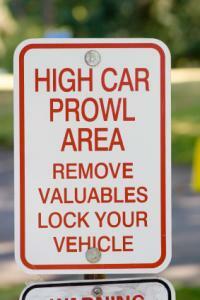 Here’s the basics: in Silverdale in 2006, 40 prowls and vehicle thefts were reported to the sheriff’s office. That’s where the skyrocketing begins. In 2007, there were double that — 87. In 2008, there were 224, more than twice as many once more.